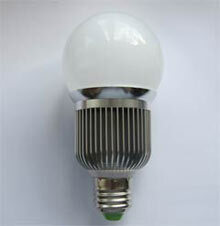 LEDs4ME Limited design and manufacture LED lighting products for indoor and outdoor use in domestic (home) commercial and industrial applications. Our products are manufactured to exacting quality and safety standards ensuring full compliance with European regulations. Our products utilize the latest advanced LED chip technologies and driver controls. This technology ensures high brightness and stable lifetimes enabling significant cost saving compared to conventional and other energy saving lighting. At LEDs4Me we work continuously to deliver products at competitive prices with safety, quality and energy preservation central to all we do. The LEDs4Me product portfolio has been designed and optimized to ensure the best products with high brightness and efficiencies giving a reduction in electricity costs of up to 90 % compared to conventional lights. After just three months our products can payback on their original investment giving major savings there after due to reduced electricity bills. Our products achieve these savings by reducing the power consumption required to produce equivalent or superior visable light (luminous flux) compared to conventional lighting. For example; our bulbs range from 1 to 9 Watt and these can replace conventional bulbs which range from 25 to 120 Watt saving 80 to 90 % in electricity usage. We recognize that our customers often seek a fast and effortless retrofit process when replacing bulbs and spot lights and for this reason our products are designed with in-built drivers for most applications, thus avoiding lengthy and costly installations. We offer a 12-24 month product guarantee(subject to product and part number) from purchase (subject to correct use and installation) and product lifetimes are a minimum of 40,000 hours which equates to approximately 10 years usage (12 hours constant use per day). Our full product range includes LED products suitable for all applications including down-lights, up-lights, bulbs (non dimmable and dimmable) tubes, outside flood lights, strip lights, office panel lights, road lamps, indoor and outdoor car parks and many others. In addition our manufacturing facilities are capable to produce specific designs subject to commercial viability. Where our customers require it, we can install and service LEDs4ME lighting products or work with appointed electrical installation / design companies. We are able to advise and carry out site surveys resulting in detailed proposals to save significant energy costs through the use of our LED lighting products. The time is now for LEDs4ME as electricity costs continue to rise, product performance and production costs are now fully optimized to ensure attractive product prices. 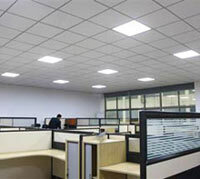 Our products are appealing in their design and deliver a lighting solution and ambience perfect for any application. 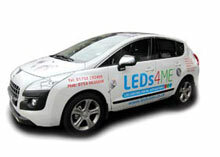 LEDs4ME Limited design and manufacture LED lighting products for indoor and outdoor use in domestic (home) commercial and industrial applications. "Our new LED lighting shows off all the features of our public house far better than the old, traditional lights. And it’s far cheaper to run!" LEDs4ME © 2019. All Rights Reserved.